Ideal for oces and public spaces, this Brio counter-top cooler is better equipped, well-thought out, and beautifully designed. 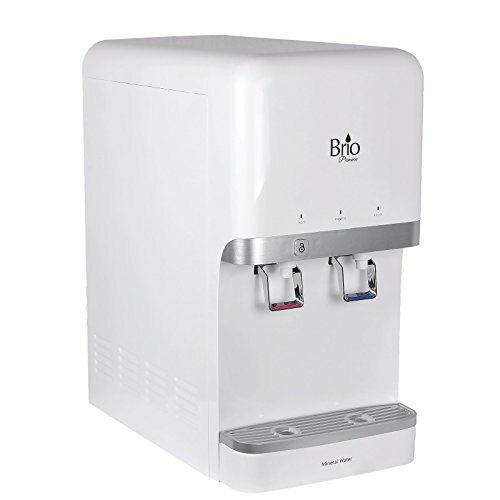 Enjoy bottle water quality with none of the cost and help save the environment with the Brio Premiere 3000U hot and cold point of use water cooler. The exterior features a nger-print resistant nish that can stand up to any dirty hands. Did we mention it's really easy to clean? This model is ideal to use in any environment whether at home or in the oce.